The following guidelines regulate advertising on CAA’s web site. CAA acknowledges that advertising plays an important role in a community, since it helps to keep people in touch with the newest products and technologies. In consequence, CAA supports advertising on its web site with the hope that members and other visitors will find it valuable. It is low profile, non-disruptive and tasteful. It is specifically relevant to CAA members. It is paid for by the advertising organisation. Advertising is carried out on CAA’s web site through banners, that is, images that promote the product or service to be advertised, and which link back to the product’s or advertising organisation’s web site. Be rectangular and have the measurements established by the CAA webmaster (examples). Be in an image file format that is established by the CAA webmaster. Be free of animations or other disruptive content. Display a picture that clearly alludes to the product or service being advertised. Be provided by the advertising organisation ready to be used. Point to a web site that is in direct connection to the product or service being advertised. CAA determines the number of advertising spots that are available on the web site at any time, as well as the applicable advertising rates. This information is made available via the contact email for advertising business shown below. Contact CAA through the advertising email address. Obtain the necessary information about advertising spot availability, rates and banner requirements. Provide a suitable banner plus a back link to their own web site. Negotiate the length of the advertising campaign. Make sure that they update CAA with changes to the banner or the back link if necessary. Stay current in their payments, as negotiated. 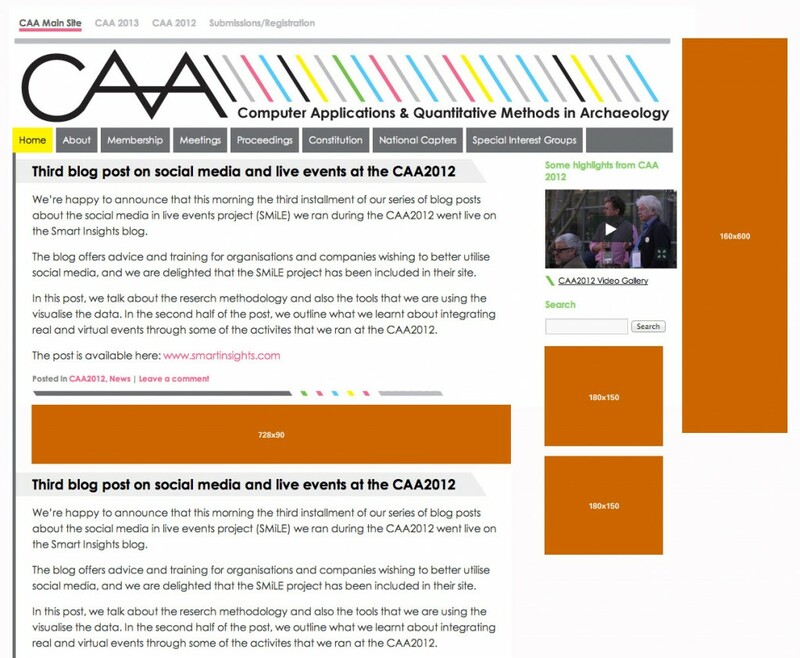 Once the advertising campaign length has passed, the campaign is considered finished, and CAA removes the advertising organisation’s banner from the web site. If an extension is desired, the advertising company must negotiate it at least two months in advance. CAA may unilaterally terminate an advertising campaign at any time, for reasons of their own, provided the advertising organisation is notified two weeks in advance.